A Canadian education technology startup is looking to go head-to-head with Pearson, McGraw-Hill and other American textbook publishers with its own cloud-based platform. Top Hat’s latest investment round raised $22.5 million in Series C funding, bringing its total funding to $40 million with an overall value of $185 million, Bloomberg Technology reported. More than 2 million students use Top Hat’s digital platform across 750 colleges and universities, according to a news release. 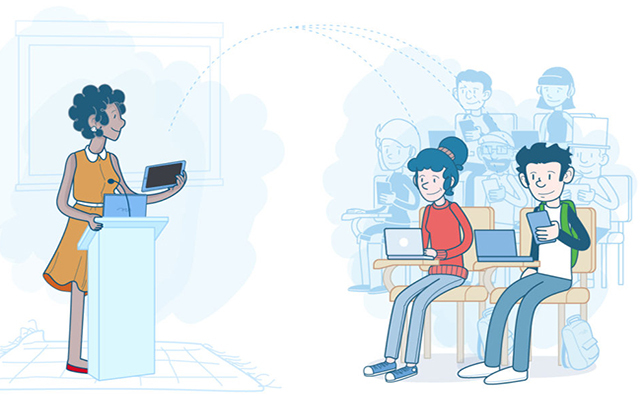 Using the company’s classroom response system, teachers can “take attendance, administer polls and quizzes, and share lecture notes – all by connecting students’ mobile device.” Top Hat also offers InteractiveTexts, pre-made multimedia instructional content that professors can fully edit and adapt for their own courses. And last year Top Hat launched an online content marketplace where professors can create their own content and sell it worldwide. “Traditional publishers have dominated the market for academic content,” said Chris Bone, assistant professor at the University of Oregon and co-author of an interactive geography textbook on Top Hat’s platform. “Although they realize that they need to utilize new and innovative technologies that will improve student engagement and learning in order to remain competitive, I think this is a real challenge for them because they’ve been dependent on the model of the printed textbook for so long, which makes integrating tools like test banks and homework platforms very difficult to do. For more information on the TopHat platform, visit the company site.